Bottle recycle ?? Yes you heard it right 🙂 Yesterday was quick craft day! 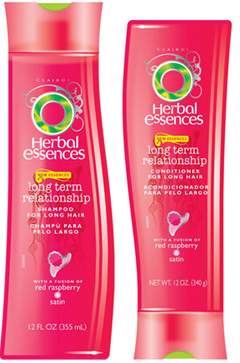 I had these empty shampoo and conditioner bottle lying around for quite a while and have been thinking about making something out of it. 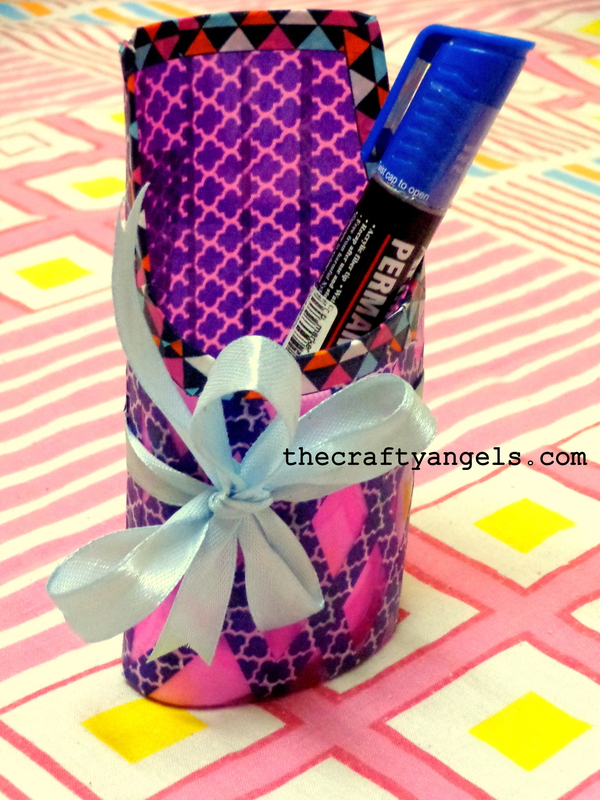 I sat searching for bottle recycle crafts and i had like loads of inspiration projects! In fact I never knew so much could be done with waste bottles! 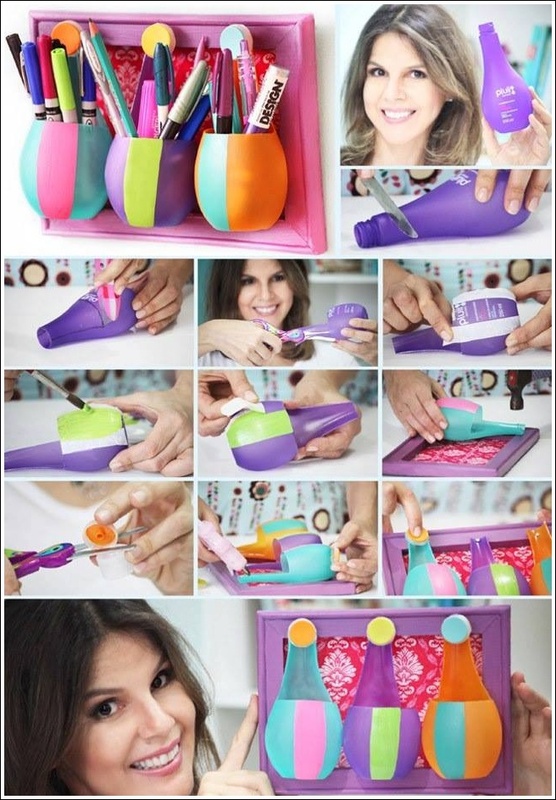 Cut out your bottle into half the size with the help of your knife. Shampoo bottles are quite harder when compared to water bottles so they are quite strong and sturdy but at the same time quite a work to cut out. The cut out was so random shaped but i used my foot file (:D) to smoothen out and create a better shape at the cut edges. Now your bottle recycle pen stand is ready! So easy ! All you have to do is CUT!! My bottle recycle pen stand was just way too pink for my husband to handle so I did some washi tape and ribbon works to give it a non-pinky look :)! I just loved how so well the washi tape hid all those rough edged that I had filed out! 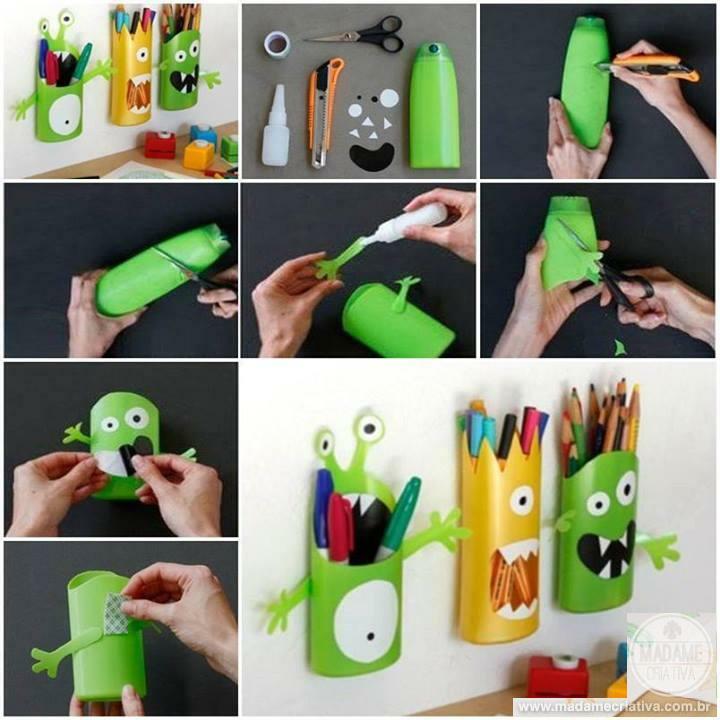 Here are more bottle recycle crafts ( pen holders) that i loved so much and im definitely trying it out some time. So are you inspired to collect your bottles to head up for mission bottle recycle craft?? If you are, do consider sharing my post and also, leave your valuable comments and suggestion! I loved it .its aussom. Ill be thtowing all my using thing.its a great idea thank u very much .